For a long time, I've been jealous of the city of Worcester for being the nearest Midlands city to be graced with the presence of a Hotel Chocolat cafe. How things have changed! Now, our very own second city has a Hotel Chocolat Cafe of it's own, and I was invited along to indulge and experience this chocolate temple for myself. You'll all be familiar with Hotel Chocolat, purveyors of fine chocolate and cocoa inspired gifts and treats since 1993, with the doors of the first high street store opening back in 2004. Since then, they've gone on to become famous for everything from huge, thick-shelled Easter Eggs to Cocoa Gin, and have even opened a hotel in Saint Lucia. In line with that very same spirit of originality, they've also been opening up cafe's since 2015. This is where Birmingham comes into play, and just in time for Christmas, we've been lucky enough to get our very own Hotel Chocolat cafe at the newly opened New Street store. Fighting my way through the German Market crowds, I stepped into the store and away from the madness. Inside, I found an oasis of chocolate and a warm welcome as the team were ready for my arrival. The store manager came to greet me and and I was presented with three, yes three, slate trays full of chocolate samples all to myself! Fighting the urge to devour the lot, I did manage to make quite a dent on the three samples; Illegal Gianduja, Mulled Wine and Salted Espresso Martini. All three were delicious, and I definitely tried more than one of each (oops!) but my favourite was definitely the Salted Espresso Martini. These were moreish bites of smooth melting chocolate infused with Turkish coffee, cocoa vodka and sea salt sealed in caramel chocolate. Next up, the hot chocolate itself. At the back of the store, there is a seating area where I settled in and made some big decisions! As well as offering a number of different flavours including White Chocolate, Chilli and White Vanilla, I was also able to choose from three different types of milk, skimmed milk, whole milk or coconut milk and have it served with or without chocolate whipped cream. It's worth noting that there is also Iced Frappes, Coffee, Tea, Tealot and Coffee Chocolate Lattes on offer, as well as Ice Cream of the Gods and two Christmas Specials; Salted Caramel and Clementine and Winter Spiced. First of all, I picked a flavour, which was the Hazelnut Hot Chocolate and then opted for coconut milk topped off with chocolate whipped cream. I picked the small size and I'm glad of it! Served on a wooden tray, my hot chocolate was every chocoholics dream! Piled high with whipped cream and oozing down the side, this was quite clearly a decadent treat. I really enjoyed the taste of the coconut milk and the hazelnut flavour was subtle. I then managed to made room for just one more small Salted Caramel Hot Chocolate which was also delicious. Both were chocolatey and subtly flavoured. Made with real chocolate and milk, Hotel Chocolat don't use powder and it's clear when you try them that this is the case as the flavour is so much more chocolately than anything from a packet. Topped off with whipped cream and depending on the flavour, more chocolate flakes or a biscuit decoration, these are hot chocolates on a whole other level! You can also buy the ingredients yourself to make hot chocolate at home, which would make a great gift! Regardless of whether you're feeling virtuous or not, it's easy to adapt your drink by changing the milk, asking for toppings or none, or even forgoing the chocolate whipped cream entirely. A naughty treat, but a nice one, Hotel Chocolat Cafe is a welcome addition to the city. Handily located close to New Street train station, there's no better way to warm up than with a real Hot Chocolat from Hotel Chocolat. There have got to be very few restaurants in Birmingham that I haven't dined at; so when the invitation came through to experience Lasan I was pretty excited. Lasan has always had a reputation as one of the finest Indian restaurants in the city, cemented by winning "Britain's Best Local Restaurant" on The F Word in 2010. Now, the eatery has come a long way with a whole new look and a whole new menu; one that's world's away from what you might expect. 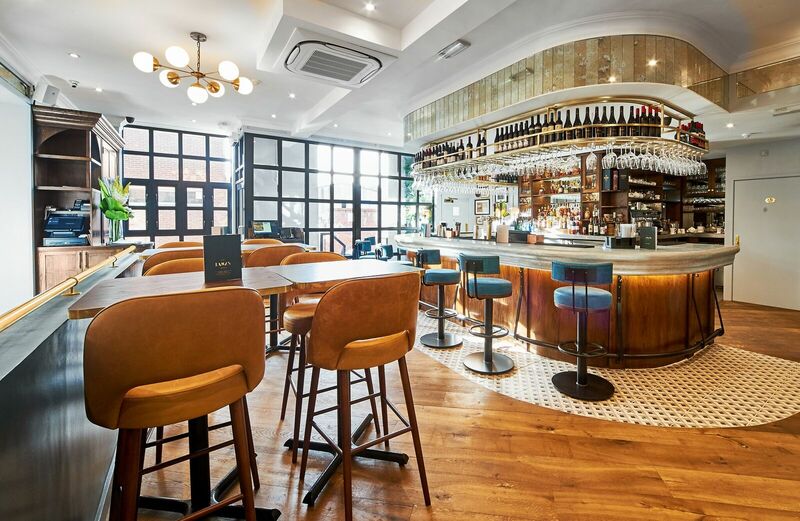 Located just off Saint Paul's Square in the Jewellery Quarter, Lasan is hidden from the main square where you might find revellers enjoying a drink or two at the weekend. Inside, the restaurant has been renovated to create a bigger bar area, enabling guests to enjoy a drink at the bar, pre or post meal in a space that's quite separate from the main dining area. The restaurant itself is beautiful; light, bright and airy with giant mirrors and an air of grandeur (press pictures, not my own). Settling on a bar stool, myself, Paul Fulford and Brummie Gourmand sat and enjoyed a drink before heading to the table. This space is great not just for drinking, but for waiting for your guests to assemble before being seated. On this occasion, I was last to arrive (sorry guys!) having driven into the city, but it's worth noting that there is street parking available close by. I did however have one drink here, a classic gin and tonic made with Hendricks pink gin and slimline tonic water. Served in a goblet, just how I like it, I sipped this slowly so as to savour the light, refreshing flavours. At the table, which was laid out with crisp white cloths and napkins, we took a look at the new menu. Although I had never eaten at Lasan before, I got the feeling that this menu was simplified and easier to use. I had been recommended the paneer to start, so I ordered the Ananas Paneer first of all followed by the Murgh Kari. Brummie Gourmand ordered the Haleem and Punjabi Makhan Chicken whilst Paul picked the Shakarkand Kofta for mains. Before we began our meal in earnest, Pani Puri was brought to the table along with some poppadoms whilst my dining companions were able to enjoy on my behalf! When my paneer starter arrived, it was love at first sight. Three large flat squares of paneer, grilled enough to see the colour changing on the corners and add a smoky flavour, served with a fresh pineapple relish and beetroot to boot. If the presentation hadn't already won me over, then the flavours would have; grilled tangy paneer served with fresh pineapple, this dish was a delight and could have happily been served as a delicious vegetarian main course. Onto the main course, my Punjabi Makhan Chicken and the Murgh Kari arrived looking very similar, with the most visible difference being that the Murgh was served on the bone whilst the Makhan was served in enormous chunks. Thankfully, the flavours of the two dishes were completely different, as the Makhan had a sweeter, nuttier flavour and creamier texture whilst mine (pictured second) was more tangy and flavoured with curry leaf and mustard seed. I also tried a little of the sweet potato kofta, a light, smooth, vegetarian kofta that was equally delicious, and we also shared the cauliflower side which I highly recommend. Onto dessert, there was far too much to tempt me. In the end, I was able to order the Beetroot Halva and have this adapted to be gluten free. Described as "slow cooked beetroot with caramelised nuts, apple crisps and dreamy pistachio ice cream", this for me was the star of the show and worth a visit alone. It is rare to find an unusual Indian dessert, with most restaurants treating dessert as something of an afterthought. At Lasan, I was overjoyed to see that finally, someone has taken the humble Indian dessert and put the time into developing something that is innovative whilst maintaining integrity. Presented like a work of art, there was everything to play for on this plate, from the sweet dehydrated apple crisps to the contrasting soft and crunchy sweet caramelised cashews. Lasan is a restaurant that you'll want to save for a special occasion and find yourself going back to just because. A great location, wonderful service and delightful food that's raised more than a few notches by the presentation makes this a must visit for any curry lover. This is no ordinary Indian restaurant, so don't expect dated decor and one choice of gin. 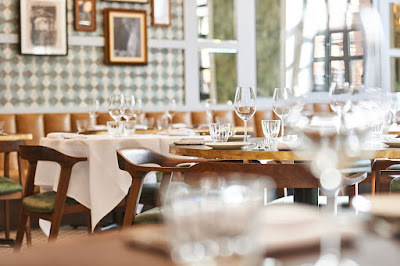 I adore the interior, with it's refined feel and minimal but warm styling; it makes the food stand out against the palate cleansing white background. Need another reason to visit? The picture perfect dishes make it a must visit for any foodie photographer! *With thanks to Lasan for the complimentary meal and drinks. Any Brummie will tell you that we are well and truly spoilt for choice when it comes to curry in the second city. However, it seems our appetite for the spicy stuff show no sign of slowing down with the opening of Tamatanga and Mowgli within a short space of time. I was invited to sample the fayre at the newly opened Birmingham branch of Tamatanga a few weeks back; and I'm ready to give my verdict! Tamatanga is well known in Nottingham, having opened in the city over a decade ago. Now, they've spread their wings to Birmingham with a vibrant eatery located on Navigation Street, halfway between New Street station and The Mailbox. Coming in from the hustle and bustle of the main thoroughfare, we were warmly welcomed at Tamatanga and offered the choice of drinks at the bar or going straight to our table. We opted to try a tipple first at the bar (plenty of seats and even tables here!) and opted for the Non Alcoholic Bombay Cooler and a fabulous gin and tonic from the extensive gin menu. As always, my gin was delicious and made all the better for being able to customise it to include a slimline tonic and garnish of my choice (orange peel on this occasion). The Bombay Cooler, made from pomegranate juice, lemonade and unusually, coriander was also a refreshing option. There's also a good range of cocktails, wine, beer, crafts and IPA as well as coolers, softs, spirits and mixers. The food menu is pretty big with plenty of options, from salads and small plates to kathi roll wraps and curry bowls. With so many interesting options to choose from, we started off with small plates before we got stuck into mains. There is also a dedicated gluten free menu with plenty of choice, so be sure to ask if you need to see it. Playing it safe, we picked the gilafi lamb kebab and garlic chicken tikka. Both dry starters, the lamb kebab was exactly as a lamb seekh kebab should be, with a kick of spice and plenty of onion. Personally, I do prefer mine a little more chargrilled, but that's just preference. The garlic chicken was a good appetiser, hearty and a good portion. Both were soft and tender dishes. Onto main courses, I opted for the tamatanga thali, a dish containing many little dishes including salad, chutney, two veg dishes, daal, raita, rice naan (unless of course you're gluten free like me) and two curry dishes of your choice. I picked the saag paneer and chicken tikka masala, two of my favourite Indian dishes. My companion picked the chicken khurana (£11.45), a a mild and creamy chicken curry dish infused with coconut and curry leaves, topped with sweet potato chunks. This lovely mild coconut sauce was finished off with a kick of chilli, whilst the texture from the sweet potatoes added to the dish. This was served with your choice of rice or naan. As for my thali, you can see from the picture that it was absolutely huge! At £17.45 for nine separate items, this is a steal and a must try for anyone with a bigger appetite. The dishes included in the thali change regularly, but when I visited there was a green bean dish in a dry paste of onion and mild spices, mango chutney, a cooling yoghurt, a yellow daal which was smooth, creamy and mild, as well as a meaty chicken curry. What stood out for me was not just the friendly, genuine service, but the relaxed casual atmosphere and generous portion sizes. With so much choice when it comes to curry, Tamatanga is great for anyone who wants to try curry for the first time in a convenient location. Not sure what paneer is? The team here will be more than happy to guide you through the menu and help you decipher your daal from your saag. Would I come back? Definitely! It's worth mentioning that there are some fantastic offers worth checking out, such as the daytime deal including a soft drink and main for £8.95, and the 2-4-1 cocktails served all day every day from 12-7pm. It's not very often that I try out a restaurant outside of Birmingham City Centre, but that's exactly what I did on a recent trip to Blake's at Westmead Hotel. Located near to Longbridge, Westmead Hotel has been around for around 25 years and has recently been acquired by an independent new owner. Entering the restaurant via a separate side entrance to the hotel, the space was exceptionally new, having just been renovated and relaunched the previous week. In soft greys and creams, with a mix of soft velvet chairs and smooth leather sofas, the interior has been well designed to appeal to most. Moving away from the reception/bar area, we made our way to the main restaurant. Offered a wide selection of drinks, I went straight in for a Gin and Tonic whilst my dining companion opted for a Becks. What arrived was one of the most beautiful G&T's I've ever seen. Onto starters, there was plenty to choose from including a couple of sharing platters that nearly won us over, however in the end I picked the poached duck egg, grilled asparagus, toasted pine nuts, avocado puree (£6.95) whilst my companion picked the potted ham hock terrine, cider and apple chutney, sour dough (£6.50). I happened to pick the vegetarian option, but there are a few others such as mushrooms on toast and I imagine the soup. What struck me about our starters was the presentation. Artfully arranged on large plates, my dish was as pretty as a picture. Carefully arranged so that the asparagus spears all pointed upwards and fanned out, with a poached egg nestled on top and a smear of avocado puree to the side, I was impressed to say the least. As for the flavour? Who knew avocado puree was so tasty! With an acidic edge to it, this completely changed the flavours of this dish and lifted it from bland to wow. The pine nuts (toasted not raw), also added a much needed texture and nutty flavour. My only gripe? Sadly the egg was very slightly overcooked for my liking so I missed out on the gooey egg yolk. The terrine meanwhile was meaty and well packed, studded with green gem peas. The cider and apple chutney was good enough for any county show and I'd happily take them home to enjoy with cheese. It also came with it's very own mini loaf; cute! Next up, for mains I chose the roasted striploin of lamb, sauteed green beans, potato dauphinoise, watercress puree and mint jus (£16) whilst my companion went for the 8oz Sirloin steak (£20.95). The steak, as well as being perfectly cooked, was also served with a delicious mushroom sauce that really raised the dish. My lamb was delectable; a little pink with a dense portion of potatoes on the side to add much needed carbs. For dessert, I chose the tropical Eton mess (£6) and I'd highly recommend it to anyone visiting. A mountain of a dessert, it incorporates peaches, meringue, peach puree and lashings of whipped cream, topped with jewelled pomegranate seeds, strawberries and raspberries. As rich as this sounds, it was in fact a perfect summer dessert and reminded me of a beautiful fruity peach melba. By now, we really couldn't move but we did fancy a nightcap in the form of a Remy Martin, which went down very smoothly, and an artfully served espresso. 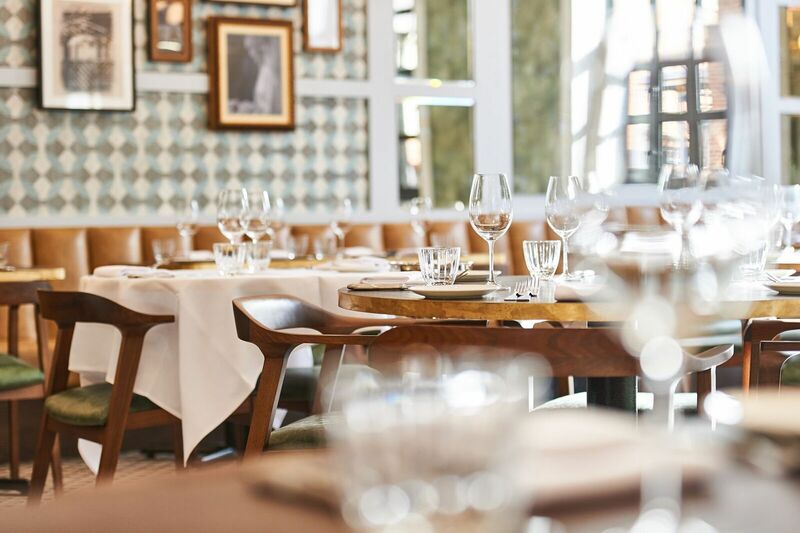 Blake's offers a modern British menu. Artfully put together, there are also more casual dining options available such as the extensive pizza menu. The service was absolutely spot on and it was evident that everyone we spoke to took real pride and pleasure in their work. The staff went above and beyond to ensure our every need was looked after, whether it was food, drink or information about the menu and venue itself. My top tip? This is a great spot to bring mums and dads in particular who need a spot of spoiling. * My meal at Blake's was complimentary.